Do I qualify for an American Express sign-up bonus? As we covered yesterday, American Express has announced a 2nd round of ‘no notice’ changes to its personal credit and charge cards. The details are here. This follows the changes made in late March to the rules on how you qualify for a sign-up bonus. To help you get your ahead around the new state of affairs, I have updated this one page summary of the new rules and the new bonus levels. I will add a link to this page to the sidebar on the desktop and tablet version of Head for Points. For absolute clarity …. the rules below do NOT stop you applying for any of the cards. They simply influence whether or not you will qualify for a sign-up bonus. 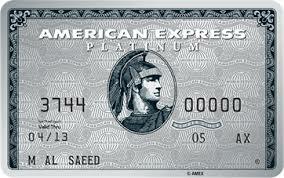 Have you had ANY personal American Express card (excluding MBNA and Lloyds Bank cards) in the previous 24 months? You can apply for any personal American Express card and receive the full advertised bonus. This article outlines my recommended application strategy to maximise your bonuses. You would need to cancel all of your existing American Express cards to start the 24 month clock. In two years time, you could then use the strategy I describe in this article to get two or three cards in quick succession. Keep reading to see if you do qualify …..
As an existing or recent cardholder, under what scenarios might I still get a bonus NOW on The Platinum Card, British Airways Premium Plus, American Express Gold Business or American Express Platinum Business? You can get a bonus NOW on ANY personal American Express card IF you have not held a personal American Express card in the previous 24 months. For clarity … the bonus rules on the personal Amex cards now only look at what other personal Amex products you have had in the past 24 months. Any small business Amex cards you have are not taken into account. Here are links to our reviews on each of the cards, a link to the application website and the legally required interest rate information. Let me stress again – these new rules do NOT stop you applying for any of the cards. They simply influence whether or not you will qualify for a sign-up bonus. Will Amex devalue Membership Rewards - and should you convert Amex, Clubcard, Heathrow or HSBC points to Avios on receipt? Hi. I am desperately in need of 44,000 Mariott points (or 30,000 MR Points) before the end of May. I hold the Amex gold credit card that used to accompany the gold charge card, but have not held a gold or plat card for about a year. My wife has the old gold charge card still. We have both held BAPPs in the last few months – Ive not gotten around to cancelling mine yet. 1) upgrade the wife from gold charge to platinum for the 20,000 MR bonus – I cannot see that it has been gubbed by the changes? 2) the wife can then refer me for an SPG card (might as well have it) to get a referall bonus, which I think is another 9k now? 3) prey they all hit her account in time; transfer to Marriott; and have her transfer her Marriott points to my account. Does this work? I know it can take time for the points to post but this is the only real chance I have unless anyone has a better plan. If it doesn’t work I guess I cut my losses on 15 May and pay for the 44,000 points I need before the 50% bonus expires, but I really want to avoid that if poss! Sounds OK, except the referral bonus from Gold is now 6k MR.
sorry, I meant my wife would upgrade to plat and then refer me for an SPG. That use to be 18k I thought, but was now 12k. In either case – good to have your confirmation that it works in principle, thanks! What is the 50% bonus you mention? 50% bonus when buying Bonvoy points. Apologies – another error. Should read 25%, being the current bonus on buying points. But I am hoping I don’t have to. This is my first ever Marriott redemption – I LOVE that you can book before you have the points. Absolutely brilliant. With the 5 nights for 4 thing and some pretty luxurious hotels in the Marriott group, Avios is no longer necessarily my plan for any MR points I earn. It will be interesting to see what sort of status recognition I get as a gold. As a Spire Ambassador in IHG I have always been really impressed with status recognition at Crown Plaza but not at IC hotels, so let’s see how far gold gets me with Marriott. I see from Rob’s article that one of us gets lounge access in some hotels but seemingly not the one I’ve just booked (Ritz Carlton). Despite being very rusty at this having not had a holiday for years, with the help of this website in the last 48 hours I have booked 5 nights in Moscow, flying first class and staying at the Ritz Carlton for a total cash outlay of £110. Not bad! Except it is 25% discount on Marriott Bonvoy points, not 50% (as it should have been to make things comparable to SPG discounted points sales). How does it work for supplementary card holders? Is it counted as holding the card? After consideration I’m afraid all these changes are going to drive me away from being an Amex customer – the incentives are now so diminished. For 20 years I’ve spent many many £thousands across a range of cards but it’s time to target my charging elsewhere. Who specifically should I write to with my feedback before I go? I’m sure they will immediately reverse all recently announced plans you disagree with. Perhaps even put you on the board too. Amex is no different to RBS, Barclays, HSBC etc. they are just a credit provider that offer products that benefit them and their shareholders. They won’t give a gnats chuff what you think… but hey fill your boots. It’s Charlotte Duerden who you should write to. Not really sure what the nature of your complaint would be? If you were churning cards for signup bonuses then I doubt Amex would be too sorry to see you go. These changes are bad news, but I cannot see how anyone can legitimately complain about not being able to churn cards or that the signup bonuses are dropping. If this is the price we pay for amex maintaining the earning rate on cards then I am happy with that. And out of interest, where are you going to take your money? If you want avios or hotel points, amex is still the best in the market. If you want cashback – they do pretty well there too. The only thing I don’t use Amex for is interest-free periods on purchases/stoozing, but savings rates are not exactly exciting at the moment. Separately, I do wonder what SPG make of all of this though. I am not a churner but as per the above, I have recently decided to target Mariott points so want to take the SPG card out for the first time, but won’t get a signup bonus because I have an obscure amex gold credit card. Many others will be similarly disincentivised from taking the card out… although I imagine it has a very limited life left anyway. My sense is that Amex do value customer feedback, so despite your understandable cynicism Natty I will share my thoughts with the business. Yes I’ve churned but still, since 1999 that accounts for perhaps £200k spend on Amex; that money will now go on my legacy Hilton card and/or a new IHG card and/or a new Virgin card. It’s a marketplace and providers vie for business but they’ll be losing mine. Each to their own I guess. 200k over 20 years – so 10K a year?! Hey big spender! I bet Amex are really worried about losing your custom. What would be best for me to get/eligible for next? New to reward points, so I’ve done things arse about face to what suited at the time. Currently got the British Airways (no fee) card and cancelled my Nectar card (got that first to buy stuff for house with Double Points event) just under a year ago. Plat is your only option unless you qualify for a small business card. Hello! Slightly OT – I’ve been reading your helpful posts on Head for Points and am looking into getting the Platinum Amex this summer when my Gold card comes up for renewal. I’m particularly interested in the access to Delta Sky Club – but am confused about the access policy. The way it’s phrased on Amex’s website suggests you can admit yourself, two guests AND children under 21 for an extra cost, however Delta’s website makes no mention of this. We are a family of five, with two children under 21, so I’m hoping we would all get access under one platinum card? Also, we are flying indirect from LHR to Jacksonville, FL with Virgin Atlantic via Atlanta – the Atlanta-Jacksonville leg is run by Delta but obviously we booked it via Virgin – would we still be eligible for entry to the Sky Club in Atlanta? As we currently have the Gold card, (one for my wife, one for myself), I know we wouldn’t be eligible for the Platinum sign up bonus. Any ideas on what would be the best way to maximise points switching over? Only the Platinum cardholders gets in free, so if your wife got the free supplementary Platinum card then you still need to pay for the other three. This is unlikely to be a great deal. Thanks Rob – so is it certain then that my wife as my supplementary cardholder would also get to admit two people? I was really just stuck on whether my family of 5 would get access, as it’s not worth it if I can only admit two guests myself and the supplementary cardholder none. I knew about the extra cost to admit guests, but figured that with a five hour layover in Atlanta, with no other lounges included with the Platinum card, it might be a good option? I’ve heard the food options and facilities are decent but of course if they aren’t we will reconsider. For a Delta lounge, you get no guests. You have a Plat, your wife has a (supp) Plat, so you both get in. Tough luck for the kids. With a Priority Pass card (which you would both have, as your wife is a supp Plat), you can do 2 people each in a Priority Pass lounge, so 4 of you are covered. Similarly, flashing Amex Plat at a Plaza Premium lounge lets each Plat cardholder come in with a guest, so 4 of you are covered if your wife has a supp Plat. I had a BA premium plus, applied for a gold premium rewards card, have been assured will get the bonus. Its showing on my account and Amex confirm I’ll get it. Now to refer my partner… but which card first BA or Gold?? I cant find it mentioned anywhere, so I presume that it doesn’t effect earning sign up bonuses, so if you downgraded to the Basic card that does not earn any points, after 2 years could you then apply for a gold/ ba or Plat card? I’m just Thinking that I’m really going to miss shop small in December if I don’t have some Amex cards to play with.I’m also presuming that the basic card enables you to take part in the shop small promotion in December?